Toronto Dogs Directory: Global Pet Food's "Ultimate Name Dropping Contest"
Global Pet Food's "Ultimate Name Dropping Contest"
Your Pet’s name could win you a brand new car! Toronto, ON (October 4, 2010) - Global Pet Foods is searching for a name for their dog and cat mascot and turning to pet parents across Canada for help in the Ultimate Name Dropping Contest! The top prize for best cat and dog name: 2 brand new Honda Hybrid Insights. To kick off the Ultimate Name Dropping Contest, Global Pet Foods and Angus Reid Public Opinion conducted a national online survey on pet names among 802 adult, Canadian cat and dog owners. Who or what did you name your pet after? •1in 4 pet parents (or 27%) named their pet after a character from a book, movie or TV. from a book, movie, or TV. •22% named their pet after a physical trait possessed by their pet. •11% of pets were already named by a previous owner & they chose not to rename. From Oct. 4 to Nov. 1, 2010 pet parents across Canada are invited to drop their pet’s name, story and photo in the Global Pet Foods’ Facebook contest for a chance to win 1 of 2 brand new Honda Insight Hybrids. And two lucky runners-up will win free pet food for a year. Global Pet Foods Fans and your friends will help determine the winners by voting for their favourite dog and cat names on Facebook. Global will then select the ultimate winners from the top 10 dog and cat names with the most votes. You can also enter The Ultimate Name Dropping Contest at your local Global Pet Foods store. 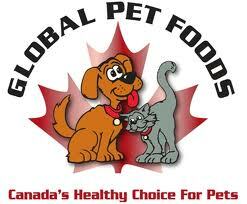 For entry and full contest rules please visit facebook.com/globalpetfoods or any Global Pet Foods location.